The Sammakka Saralamma temple in Warangal was built during the 12th century. This temple has no mythological background relating to the construction of the temple; instead, it is believed to be built in the memory of two tribal women. The main deity(s) of the Sammakka Saralamma temple are two brave women who stood up for their community and its betterment. They became Martyrs in the battle. According to the legend, once a troop from the Koya tribal community was returning from a trip, when they saw a little girl playing with the tigress. The head of the troop saw the girl and inspired by her bravery, he adopted her and named her as Samakka. Later she married a headman of a neighboring tribal group and had a daughter, Sarakka. Both the mother and daughter protested the Kakatiya kings who forced the tribes to pay taxes. Both the women fought bravely and reportedly lost their lives. The Koya community constructed this temple as a token of gratitude. 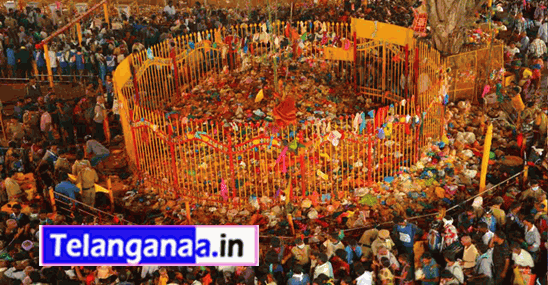 Annually an event called Sammakka Saralamma jatara is held which is considered as one of the largest tribal festivals of the world. The deities are brought from the forest to a spot for a period of 10-12 days when more than one crore devotees offer prayers and gift 'bangaram', which is pure jaggery to the deities. 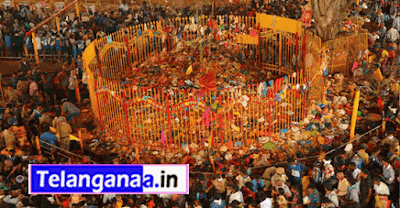 The entire place reverberates with divine chants and elaborate arrangements are made for this Jathara with thousands of buses plying to and fro with pilgrims. The temple located in Medaram is nearly 90 km from Warangal city, the district headquarters and there are regular buses available during the annual Jatara. 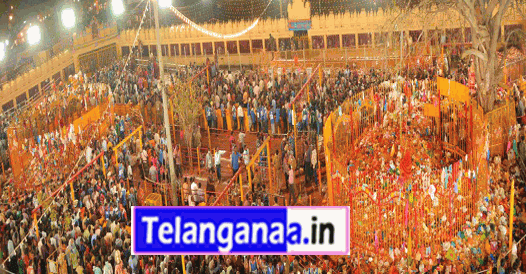 There are many eateries and restaurants available in Medaram during the annual Jatara. There are few options for stay at Medaram. Tourists can avail accommodation facilities at Haritha Hotel, Kakatiya in Warangal city.